Is he still with us/around ??? been checkin alot of his music in recent yrs but dont have a lot of back round info on him or about him out side of him doing alot of DEEJAY sides for alot of big/nice tunes. Download-link still alive it seems. Love that mix Papa Tullo mix BMC. I bump it, loud, regularly. something tells me he passed like 20 years ago. could be wrong about that. 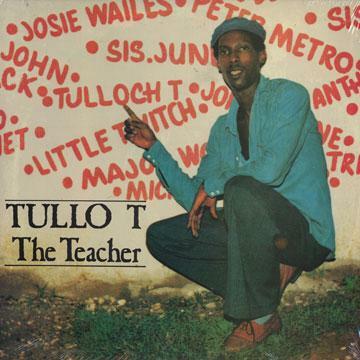 Wicked DJ, he switched his name to Tullo T in the mid-80s. His tunes for Negus Roots are definitely some of the all-time highlights of early-80s deejaying. Would love to hear any info on his whereabouts nowadays . . .
Definitely not as good as his early 80s tracks, but a solid set imo. Still looked and sounded real nice even with all the marlboros he smokes down! He's still around , I cut some wicked tracks with him. thats good to hear !!! he's def. under rated~> imo 1 of the best DEEJAYs of the early 80s~> RESPECT DUE !!! Also~> big up to BMC - ECODELIC and every 1 else for forwarding TULLO's vibez in mixes or voicings(btw BMC-> your mixxees are top rank ^^^ REPECT same way !!) 1 i'd def. like to see at SNWMF before its deemed "to late" like so many others.